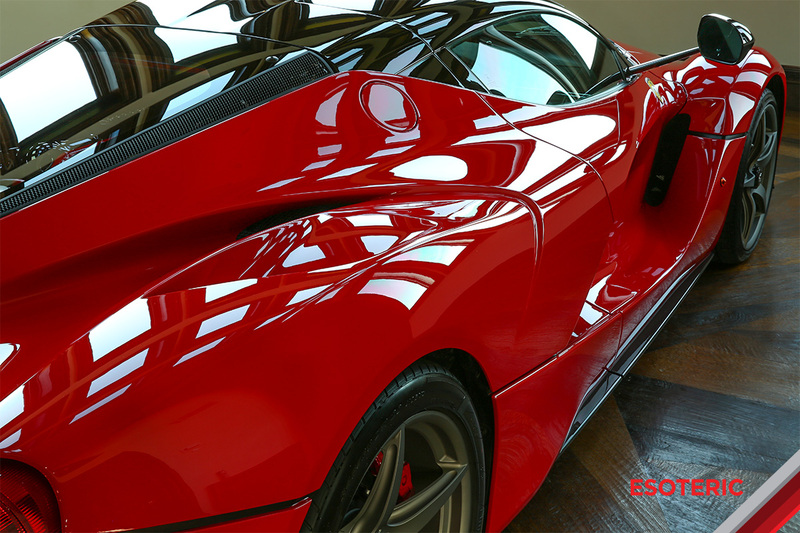 Your car’s finish is continuously bombarded with harsh contaminants that can cause damage, and that over time will reduce the gloss and clarity of the surfaces. Regular detailing to deep-clean these areas help to remove all of these contaminants that get onto the paint, and then traditionally a wax or sealant would be applied to prevent new contamination and to add gloss as well. Waxes and sealants are good, but often they are not applied frequently enough to offer maximum protection. Most waxes will only provide a month or two of protection before another application is due, and sealants can typically range in the 4-6 month durability. 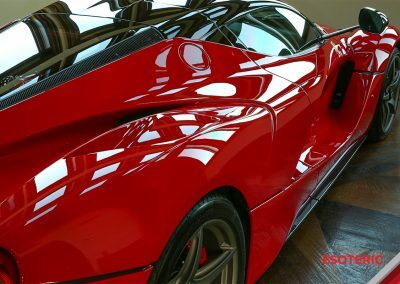 We now have new technologies available to us in the detailing industry that significantly increase the durability of protection upwards of 5 years. These new technologies come in the form of semi-permanent coatings that provide the ultimate barrier between your paint (and wheels…and trim), and the harsh elements that your car is exposed to on a daily basis. Not only will these coatings provide a protective barrier, but they also add gloss and depth to the finish, and they make subsequent cleaning of the vehicle much easier since dirt, and other contaminants won’t stick to the surface as quickly. When you wash your car afterward, the paint will continuously have that “freshly waxed” and slick feeling to it. For information on how to properly maintain your coated vehicle, please see our video on this subject on our YouTube Channel. 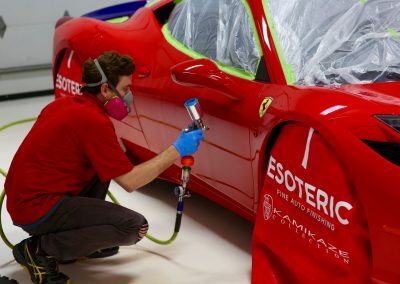 What makes ESOTERIC’s Coating services better? Our coating services have gained worldwide popularity over the years through our relentless dedication to providing the highest quality of work, through the use of the best products and tools in the industry, and by making the customer experience second to none. We were involved in the very beginning stages of the coating industry in the USA, and have worked very closely with coating manufacturers with research and development. We have also trained detailers from around the world on how to get the most out of coatings, and have produced dozens of educational videos on the coating market. Given our extensive product knowledge based off of experience and real-world testing, we can work directly with you to find out what the best coating solution will be based on your wants and needs, as well as the environment that your vehicle(s) will be kept in. Through relentless testing and evaluation processes, we found that the KAMIKAZE-Collection and Gyeon Quartz brands of coatings met our strict criteria for performance, looks, and durability. We are very particular with our coating brands, and we value their marketing strategies just as much as we do their performance. Many coating companies significantly overstate (over-hype) things like hardness levels, durability, and chemical resistance in hopes that unknowing detailers and consumers will follow along. We, on the other hand, wish to have long-lasting relationships with our clientele and therefore chose not to work with companies that promote unrealistic performance. 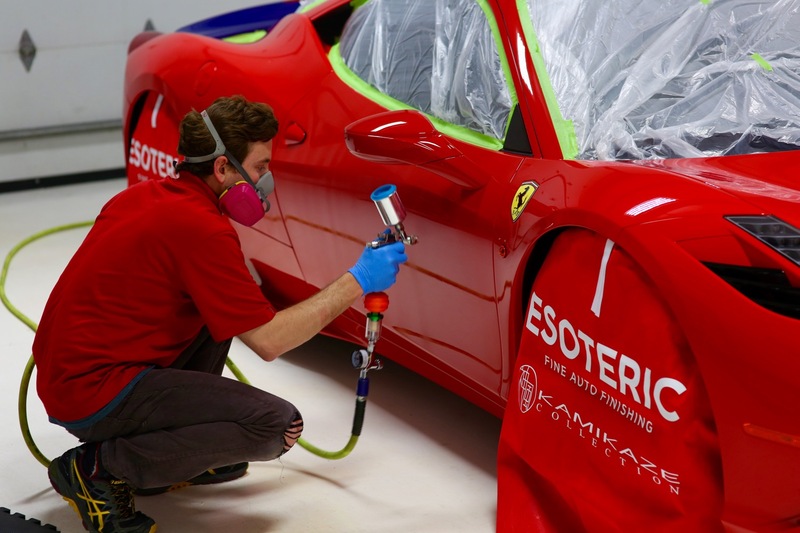 When hiring ESOTERIC to handle your automotive coating needs, you can rest assured that we have the first-hand experience and knowledge to ensure that you’re receiving industry-leading coating performance. Protective coating being applied to exterior painted surfaces. 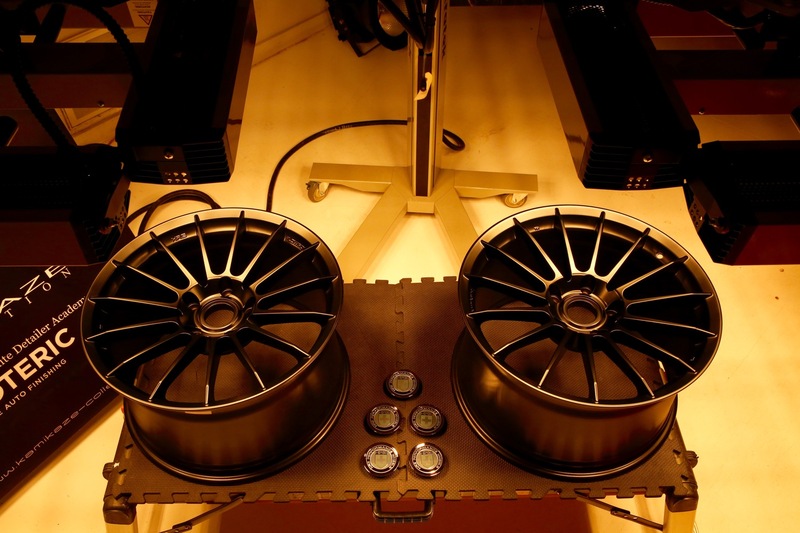 Coated wheels being cured under IR lights. Since not every customer has the same goals when it comes to coatings, we have developed 3 different levels to choose from depending on your wants and needs. While coatings can be done alone with minimal cleanup, it’s recommended to apply them after a Paint Correction Detail to create the best looks. Single layer of Miyabi Coat by Kamikaze-Collection on painted surfaces. ISM Coat by Kamikaze Collection applied to painted surfaces. Note: Durability is directly related to proper maintenance of the coatings. For more information on how to properly maintain a coated vehicle, please see our video on how to maintain a coated vehicle. Notes on Coating: In addition to an increased level of gloss and shine, coatings also add a deepening and richening of colors. Blacks will be blacker, reds will be a deeper red, etc. 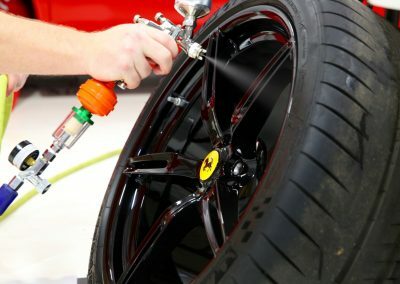 Also on colored or satin wheels, coatings will have the same effect. 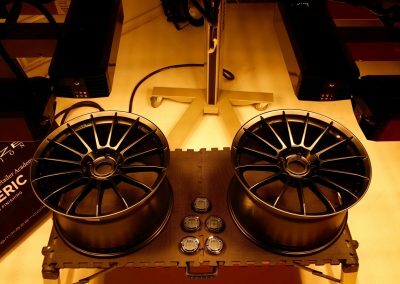 It will not turn satin wheels glossy, but it will add a darkening and richening effect.